The quarterfinals and semifinals of the 15th LG Cup were held in Shanghai on 10 and 12 November. The quarterfinals were a triumph for the home side: Chinese players won all four games and so monopolized the semifinal places for the first time ever in an international tournament. Kong Jie and Piao Wenyao won their semifinal games and will meet in the final, which is scheduled for February. Kong Jie 9-dan (China) (B) beat Hu Yaoyu 8-dan (China) by resignation. Wang Yao 6-dan (China) (B) beat Yi Ch'ang-ho 9-dan (Korea) by resignation. Meng Tailing 5-dan (China) (B) beat An Cho-yeong 9-dan (Korea) by resignation. Piao Wenyao 5-dan (China) (W) beat Ch'oe Ch'eol-han 9-dan (Korea) by resignation. Kong (W) beat Meng by resignation. Piao (B) beat Wang by resignation. The semifinals of the 15th Samsung Cup were held at the beginning of November. Three Korean players had reached the semifinals to one Chinese, but the final pairing will be China vs. Korea. In this tournament, the semifinals are best-of-three. Gu Li 9-dan of China beat Kim Chi-seok 7-dan of Korea 2-0 and Heo Yong-ho 7-dan of Korea beat his fellow countryman Pak Cheong-hwan 8-dan by the same margin. The final will be held on 7, 9, and, if necessary, 10 December. Gu (W) beat Kim by resignation. Heo (W) beat Pak by resignation. Gu (B) beat Kim by half a point. Heo (B) beat Pak by resignation. The 16th Asian Games, in which, for the first time ever, go will be a competition sport, got off to a start on 12 November. The go events will start on the 20th. There will be men's and women's team competitions and a Pair Go tournament. 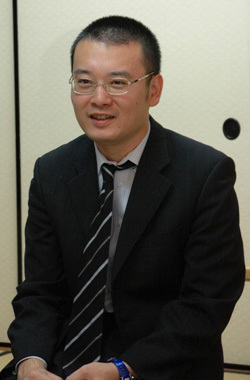 Yi Ch'ang-ho's wedding to Yi To-yun took place on 28 October. Yi To-yun is a go journalist who works for Cyberoro. Cho U Kisei suffered one of his rare setbacks in the Gosei title, but he returned to form in the Oza title match. He defended his title by the same score as last year against the same challenger. We covered the first game in our previous report. The second game was played at the Westin Kyoto Hotel in Kyoto on 4 November. Taking white, Cho won by 3.5 points. Yamada had built up a lead in the middle game, but he fell victim to a relentless pursuit by Cho in the endgame. The third game of the title match was held at the Sanyoso inn in Izu-no-kuni City, Shizuoka Prefecture on 11 November. Cho made a good start, but played a move he regretted early in the middle game. However, Yamada was unable to take advantage of his opportunity. Cho played strongly thereafter and took control of the game. This is Cho's sixth Oza title and his third in a row. He also won it three years in a row from the 51st title, so improving on that record will be his target next year. Overall, it is his 33rd title. He is in eighth place in the all-time list and is creeping up on Rin Kaiho and Yoda Norimoto, who share fifth place with 35 titles each. The results : Game 1 (21 October). Cho (B) won by resignation. Game 2 (4 November). Cho (W) won by 3.5 points. Game 3 (11 November). Cho (B) by resignation. After five unsuccessful challenges, Yuki Satoshi 9-dan of the Kansai Ki-in has finally won a top-seven title. In the 36th Tengen title match, he defeated the titleholder, Yamashita Keigo Honinbo, with straight wins. The first game was played at the Asahikawa Grand Hotel in Asahikawa City, Hokkaido, on 28 October. Taking black, Yuki secured a resignation after 227 moves. The game finished at 4:52 p.m. ( the time allowance is only three hours, the same as most international tournaments ), with both players down to their last minute of byo-yomi. The second game was played in the Kiyosu Castle Arts and Culture Hall in Kiyosu City, Aichi Prefecture on 9 November. Yuki (white) won by 2.5 points. This was a stormy game, with the lead switching back and forth; Yamashita held the lead for the larger part of the game, but he was unable to wrap up a win. Yuki confessed later that in the endgame he didn't know who was ahead. The third game was played at the Karatsu Royal Hotel in Karatsu City in Saga Prefecture on 16 November. Taking black, Yuki won by 2.5 points. The game finished at 5;18 p.m.
Before this title match began, Yuki had lost eight games in a row to Yamashita, which reminds one of Takao's bad record against Iyama, but he will no longer feel jinxed by him. Incidentally, Sakai Hideyuki's Gosei title in August was the Kansai Ki-in's first top-seven title in 29 years. It must be a lot longer since it held two titles simultaneously. Game 1 (28 October). Yuki (B) won by resignation. Game 2 (9 November). Yuki (W) won by 2.5 points. Game 3 (16 November). Yuki (B) by 2.5 points. The play-off to decide the challenger to Cho U for the 35th Kisei title was held at the Osaka headquarters of the Nihon Ki-in on 11 November. It pitted the winner of the A League, Takao Shinji 9-dan (5-0), against the winner of the B League, Iyama Yuta Meijin (4-1). It resulted in a win for the latter, who will make his first Kisei challenge. Playing black, Takao took the lead in the early middle game by capturing a group of white stones, but Iyama caught up by making a desperate attack soon after that went well. Thereafter, Takao seemed to wilt in the face of Iyama's superior momentum, and there was a wide gap when he resigned. Takao seems to be completed jinxed against Iyama. When he lost this year's Meijin title match to Iyama, his record against him became a miserable 1-12; this was a good chance to turn back the tide, but things just got worse. Such unbalanced results between two top players are unusual. Actually, there was a probably a lot of pressure on Iyama as well, as he has a bad habit of wasting opportunities to become a challenger. In 2008, he lost the Oza and Kisei play-offs, last year he lost the Gosei play-off, and this year he lost the Honinbo League play-off. However, that will all be forgotten if he prevails over Cho Kisei. The match will get under way on 13 January. Incidentally, Iyama has set yet another record: he will be the youngest challenger for the Kisei title. Okuda Aya 2-dan, on 4-1, retains the lead, followed by Mukai Chiaki 4-dan on 3-1. Yoshida Mika 8-dan of the Kansai Ki-in fell back a step when she lost to Suzuki Ayumi 5-dan. (28 November) Mukai Chiaki 4-dan (B) beat Okuda Aya 2-dan by 5.5 points. (4 November) Mannami Nao 2-dan (B) beat Koyama Terumi by 1.5 points. Okuda Aya 2-dan (W) beat Umezawa Yukari 5-dan by resignation. (11 November) Suzuki Ayumi 5-dan (W) beat Yoshida Mika 8-dan by resignation. A newcomer playing in his first league has made the best start in the new Honinbo League. In the first round, Seto Taiki 7-dan of the Kansai Ki-in defeated a former Honinbo, Cho Sonjin 9-dan, then repeated the feat in the second round, this time disposing of a more recent Honinbo, Takao Shinji 9-dan. 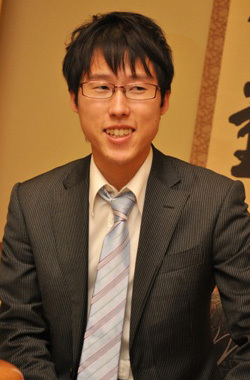 His next game will test him, as it is against the formidable Iyama Yuta Meijin. However, the latter had a bad time at the end of October, losing two league games within the space of four days. (25 October) O Rissei 9-dan (W) beat Iyama Yuta Meijin by resignation. (28 October) Cho U Kisei (B) beat Iyama Meijin by half a point. (4 November) Seto Taiki 7-dan (W) beat Takao Shinji 9-dan by resignation. The new faces in the 36th Meijin League are Yamashita Keigo Honinbo, Hane Naoki 9-dan, and Rin Kanketsu 7-dan. Rin is making his debut in a league. 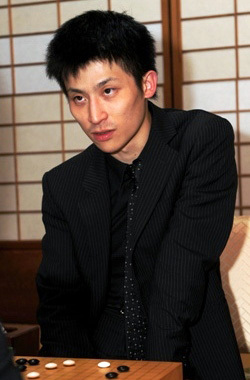 Born in Taiwan on 22 May 1984, he is a disciple of Rin Kaiho; he became 1-dan in 2000 and reached 7-dan this year. Yamashita is returning to the league after an absence of three years. Hane is making a comeback after a gap of nine years. This long absence is surprising considering he has been one of the top four for most of the last decade. A win in the preliminary round of the 59th Oza tournament on 11 November gave Cho Chikun, 25th Honinbo, his 1,362nd win, enabling him to draw level with the record holder Rin Kaiho. Cho has 729 losses, 3 ties, and four no-results. He began his professional career in 1968, compared to 1955 for Rin. The source of the name of this tournament is sponsorship by the Hiroshima Aluminium Manufacturing Company and the Hiroshima headquarters of the Nihon Ki-in, among others. It is open to players who are 30 or younger and under 6-dan. The 5th cup was held on the weekend of 30 and 31 October in the Central Honshu Newspaper Building in Hiroshima City (the newspaper is an associate sponsor). Fittingly, a player who has spent a lot of time teaching go in Hiroshima, Yamamoto Kentaro 5-dan, reached the final of this knock-out tournament, but he lost to Terayama Rei 2-dan. Taking black, Terayama won by 3.5 points. This is the 19-year-old Terayama's first success. Despite his failure to add to his wins column in the Tengen title match, Yamashita Keigo maintains a comfortable lead in this category. 4. Cho U: 28-14; Kono Rin: 28-15; Takao Shinji: 28-21. Rin Kanketsu 7-dan, who recently gained a place in the Meijin League, is sitting on a winning streak of ten games. (4 October) Kuwamoto Shinpei 6-dan (B) beat Michael Redmond 9-dan by 3.5 points (Preliminary A, 37th Tengen tournament).